Is it just me? Fixing lunches has somehow become the bane of my existence. It just seems…well, hard! I don’t know why – there’s no rational explanation. I just can’t stand packing lunches. Tastes change from day to day. Things were too cold. They were too hot. I didn’t pack what they wanted to eat. They love it for dinner – but it’s yucky when they see it again the next day for lunch. I’d love for you to comment below and tell me your child’s latest reasoning (and I use that word loosely) for not eating their lunch. Trust me, I can “mess up” a school lunch ten ways from Sunday. 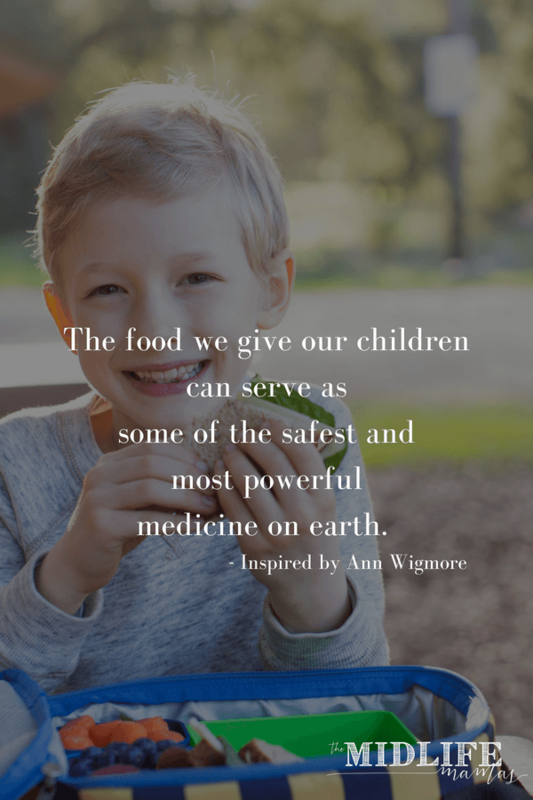 But I’m sharing a few of my tips, tricks, and hacks and I called in some reinforcements from around the web to share their most favorite kid friendly, simple, healthy, lunch box ideas. I don’t make animals out of sandwiches. I don’t make emojis out of pancakes. 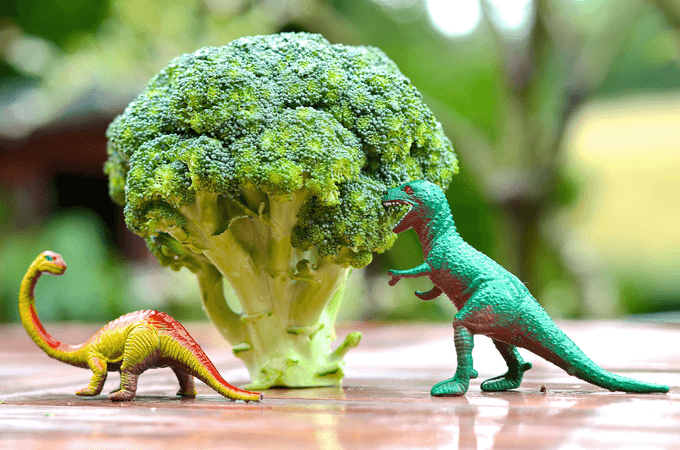 I don’t make it look like extinct reptiles are eating their healthy lunch in order to entice my kids to eat theirs. Don’t get me wrong, I’m not knocking the moms who do. I just don’t have a nervous system that can handle that kind of daily pressure or rejection when it doesn’t get eaten. If I get a pretty healthy lunch in the box and that makes it into their belly – my work here is done. If you’re like me, you want to make sure that your children have a nutritious and varied lunch that will help fuel them throughout the remainder of their day. My boys, 4 and 7, also have a snack break at school – so I also need something that’s easy for them to grab at snack time. And I know all this – so I really try to get them a good source of protein, some healthy fats, and some carbs with fiber. Here’s one of my tips: I always try to make enough of the protein for dinner the night before so that I can send that for lunch in a thermos (steak, meatloaf, chicken breast, etc.). Then I can add in fruits and veggies that I have. It always gets harder when there isn’t anything left over or it’s something that doesn’t reheat well (fish, for example). So then I have to start from scratch. And remember that you don’t pack is just as important as what you do pack. Sugary or processed foods with little or no nutritional value top the list of poor lunch options. You want to think of foods that rev your energy, are satisfying and lasting, but don’t make you feel like you want to curl up on the sofa and nap! 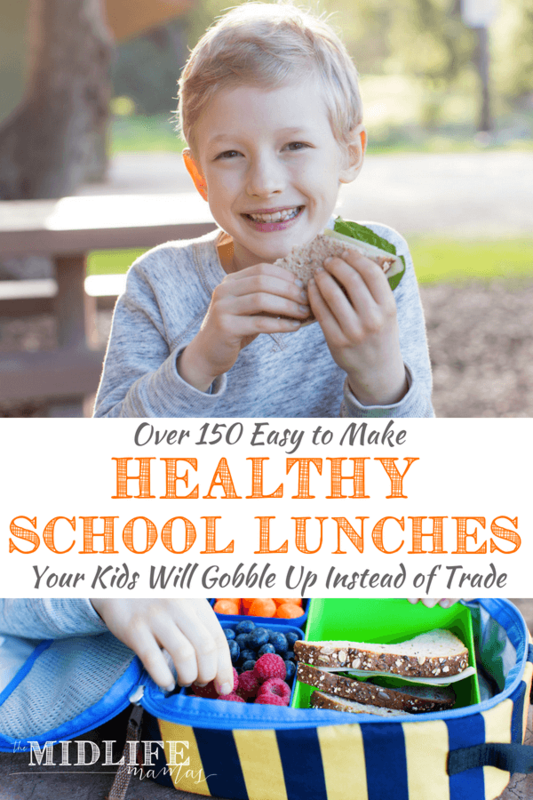 So What Are My Best Healthy School Lunch Ideas? 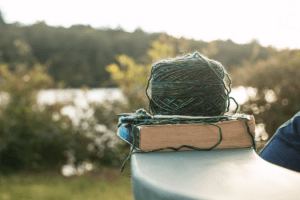 If you thought you had lots of ideas, but now you feel like you’ve used them up – there are so many great ideas here that you will definitely find a new stash of “keeper” recipes! 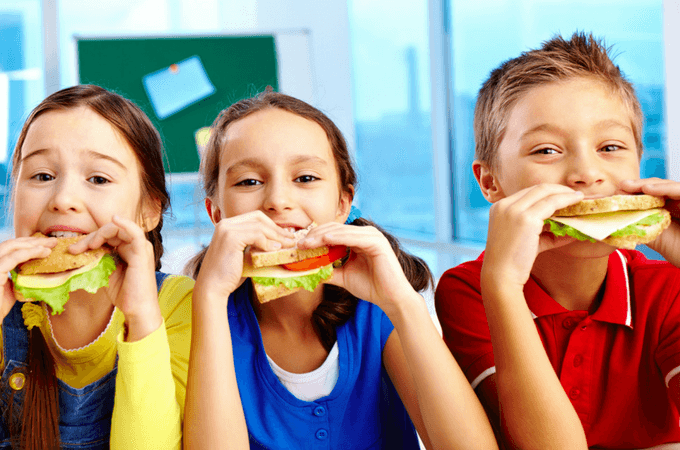 Check out these fun, healthy school lunch ideas to get you moving toward a satisfying and nutritious lunch for your child. 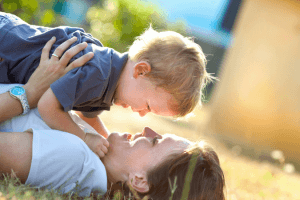 Moms around the world use this time honored tactic to get kids to do what we want them to: make it fun!!! I love the idea of my son getting a sweet little note or joke in his lunch box to make him smile and give him something to share with his friends. I have a friend, Tiffany, over at Peanut Blossom who does make pretty food that’s delicious and healthy. She also happens to take beautiful photos of said pretty, delicious, and healthy food. So much so, that she put her most beloved recipes together in The Ultimate Kids’ Cookbook! This is an amazing collection. I will be sharing!